The 37th edition of the Fajr Film Festival kicked off on January 30, 2019, and will run until February 11 in Tehran. Three films have been screened on the first day of the 37th Fajr Film Festival (FFF) in the Iranian capital Tehran. ‘Takhti, the World Champion’ directed by Bahram Tavakkoli was one of the films that were screened on Wednesday. The cast of ‘Takhti, the World Champion’ attends the first day of the 37th Fajr film festival. The film depicts the life of Iranian world wrestling champion Gholamreza Takhti. It is starring Atila Pesyani, Mahour Alvand, Hamid-Reza Azarang, Banipal Shoumoun, Parivash Nazariyeh, Behnoush Tabatabaee, Farhad Ayish, Siavash Tahmoures, Masoumeh Qasemipour, Setareh Pesyani, and Shirin Yazdanbakhsh. The cast of ‘Takhti, the World Champion’ attends a news conference on the first day of the 37th Fajr film festival. The other two movies are 'Sophomore Year of My School' directed by Rasoul Sadr Ameli and ‘Reverse’ which is the directorial debut of Iranian actor Poulad Kimiaee. The cast of 'Sophomore Year of My School' attends the first day of the 37th Fajr film festival. 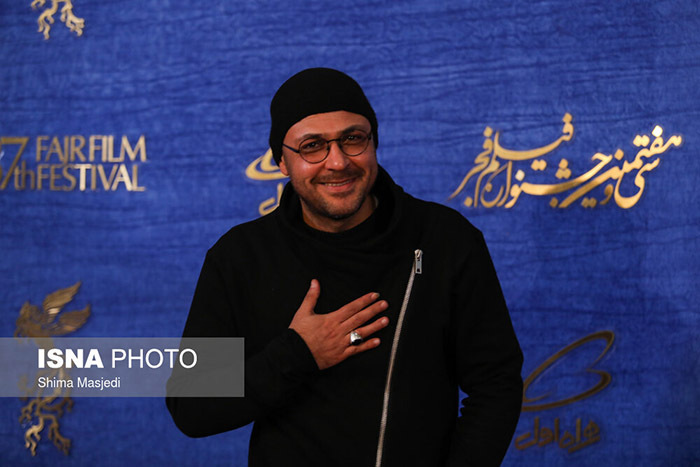 Rasoul Sadr Ameli, the director of 'Sophomore Year of My School', attends the first day of the 37th Fajr film festival. Poulad Kimiaee attends the first day of the 37th Fajr film festival. Shahram Haqiqatdoust, the star of ‘Reverse’, attends the first day of the 37th Fajr film festival. The cast of ‘Reverse’ attends the first day of the 37th Fajr film festival.